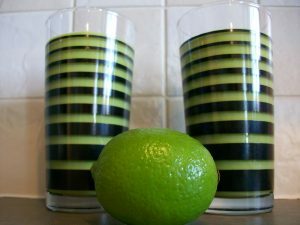 This Asian inspired lime and ginger drink will revive your energy levels and your taste buds. It is a very refreshing complete meal drink that has a very unique flavour. 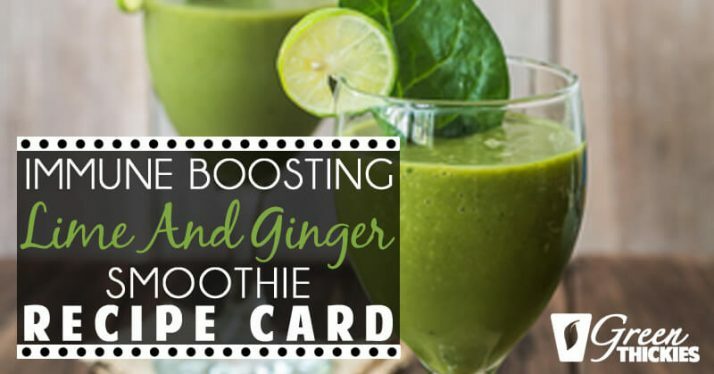 If you love ginger, you’ll definitely enjoy this green thickie. Even if you find the taste of ginger overpowering, it’s health benefits are well worth including in your regular diet. Studies have found that ginger can help treat ovarian cancer, and prevent colon cancer. Ginger is widely used as an effective morning sickness remedy. In fact when I was pregnant I drank lemon and ginger tea every morning and didn’t have any morning sickness. Ginger has also been shown to relieve inflammation, migraines, menstrual pains and improve your immune system. 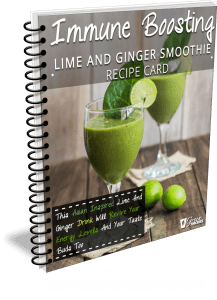 A power house of benefits from this ginger drink. 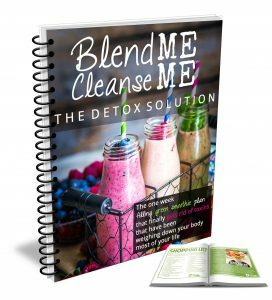 Blend the ingredients a few at a time so that your blender can cope with the work, unless you’ve got a high powered blender, then you might be able to add them all in at once. If it gets too thick, add more water as necessary. If your blender has made the smoothie too warm, you can either cool it down in the fridge or freezer, or add some ice cubes to it. Have a look at this great Green Thickie given to teenagers to help them perform better at school. Green Thickies definitely help you think more clearly and keep you focused and energised at work. I love the flavors here, I will have this for my next smoothie! Thanks for coming by Allergy Free Wednesdays, come by tonight to share again! Aww, many thanks for your comment. 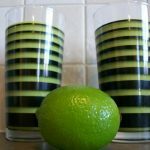 I love anything with lime and ginger, so refreshing. Let me know if you liked it. I will stop by again soon, many thanks. Hi Katherine. Just wondering, did you use fresh root ginger or dried ginger in this recipe? Hi Rhianwen, Thanks for asking. I actually used ‘Lazy Ginger’ which is a jar of grated root ginger – as I don’t use it all the time it’s not usually worth me buying root ginger as these jars last longer, but root ginger is better. But you can use ground if that’s all you have, it won’t matter. Hi, sorry what is it you are looking for?